Stop spills on water from spreading and absorb the spilled material to clean it up using these floating absorbent booms. 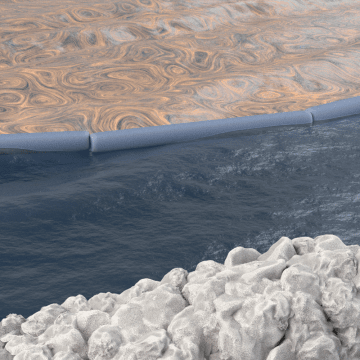 Place booms on top of the water to direct the spill to a desired location or to surround the spilled material and prevent it from spreading across the surface of the water. Multiple booms can be connected with a rope or chain to clean up large spills. 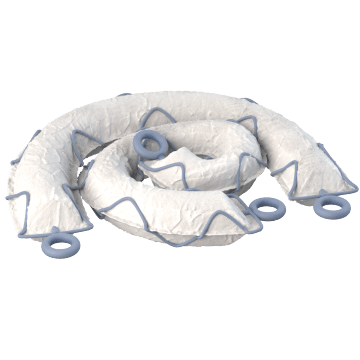 Versatile general purpose absorbent booms can be used to clean up a variety of water-, oil-, or chemical-based materials. Absorb oil, fuel, lubricant, and other oil-based materials using these products. They don't absorb water and will float to absorb spills on the water's surface. Clean up chemicals and hazardous materials using these absorbent booms.